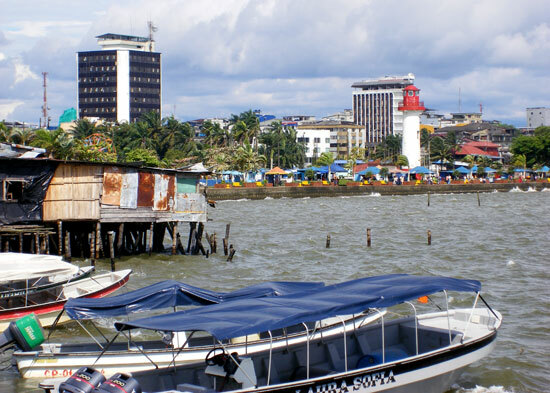 Colombia's biggest Pacific coast city is Buenaventura - around 60% of the country's trade is done through this port. However, despite this economic importance it is a somewhat neglected city. Poverty among its 300,000 inhabitants is high, and in recent times there have been violent clashes between the army and armed groups involved in drug trafficking. 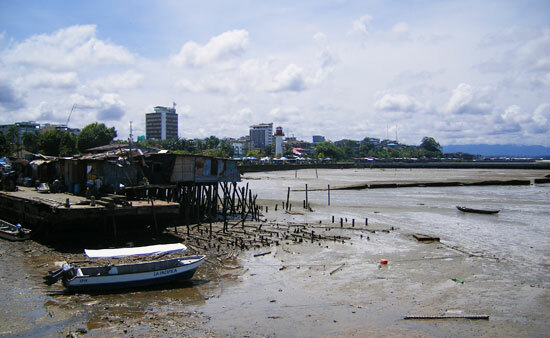 While Buenaventura gets a bad press, if you stick to the city centre and seafront you should be absolutely fine. You'll have little reason to go wandering off into the surrounding shanty towns anyway! 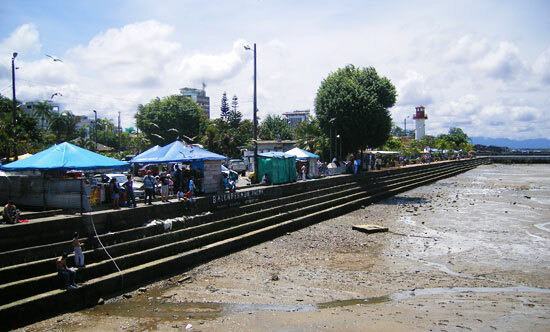 The only real tourist attraction in the city is the waterfront, right next to the downtown area. A long promenade ('rambla' in Spanish) runs along the oceanfront with lots of shops, food stalls and amusements scattered along it. You can also see the city's small lighthouse towards the southern end of the promenade. The Pacific coast of Colombia, in contrast to the Caribbean, experiences big tides. At low tide the ocean retreats a considerable distance and it's possible to walk on the beach - although the muddy, and often litter-strewn sands, do little to inspire bathing. At high tide the water comes right up to the city, with small waves lapping at the concrete steps of the promenade. An enjoyable hour or two can be spent with a beer or fresh fruit juice in hand watching the tide slowly sliding its way into the bay. For somewhere to stay, I had a great experience at Plazamar Hotel Boutique. The rooms are comfortable with air conditioning (very important in Buenaventura!). There is also a well-equipped fitness centre. Ask for one of the rooms with a view over the bay and out to the Pacific! The main bus terminal is near the centre of the city. Buses leave frequently to and from Cali (4 hours). The journey is very pleasant - the mountains of the Cali region give way after about an hour to lush tropical rainforest with a large river running along the side of the road. There are also a couple of buses that go direct to Bogota. Travelling overnight is an option and can save you a night's accommodation. 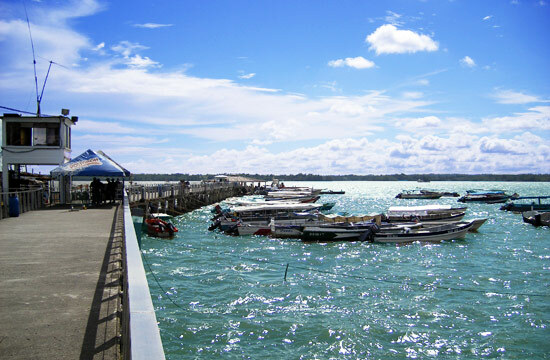 The small Gerardo Tobar López Airport is located about 30 minutes outside Buenaventura. Satena run flights from Buenaventura Colombia to Bogota, Medellin and Cali. Fast boats ('lanchas') to Juanchaco and Ladrilleros leave fairly regularly during the day until a little before sunset. The trip takes about an hour. Be prepared for a bumpy ride! And if you suffer from back or neck problems it might be an idea to forego this particular trip. It's also possible to catch a ride on a bigger, slower boat up the Pacific coast to Bahia Solano and Nuqui.